Kapriva Couture will present selections from its latest couture gown collection during the Cannes Global Short Film Awards Gala and Luxury Fashion Shows on May 25, 2019. Part of the fourth annual edition of the prestigious event, the gala will be held at the iconic Intercontinental Carlton Cannes in Cannes, France. The Kapriva Brand is about edgy, sophisticated, risqué and elegant creations inspired by art and design from all over the world. Their exclusive luxury designer clothing is made and designed in the UK, using the finest materials sourced worldwide. Each piece is designed with inspiration from art and design from global genres, using a combination of unique embellishments and custom-designed hand embroidery, as well as Swarovski element crystals and pearls. Kapriva has a couture range, providing exclusive one-of-a-kind pieces, as well as limited edition collections. Kapriva also offers a couture design service, for those who want a unique piece, made and designed for them. Kapriva has designed bespoke pieces for various events and occasions for individual clients and stage shows and musicians in Los Angeles, including famed burlesque entertainer Vixen DeVille. 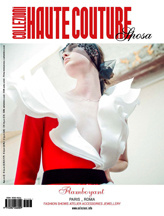 The Global Short Film Awards Gala and Fashion Shows is proud to partner with Couture Fashion Week New York and Collezioni Magazines. Innovative fashion brand George + Ginger will present a selection of its most recent designs during the Cannes Global Short Film Awards Gala and Luxury Fashion Shows event on May 25, 2019. Part of the fourth annual edition of the prestigious event, the gala will be held at the iconic Intercontinental Carlton Cannes in Cannes, France. Kristi Fitzpatrick started George + Ginger Pattern Co. in 2015, based in St. Louis, Missouri, USA. With a degree in Drafting and Design, she began drafting PDF sewing patterns and marketing them worldwide. She shares her passion for design with her customers and engages with them daily. The brand is active on Facebook, Instagram, Pinterest, Twitter and Reddit. Along with designing patterns, Kristi works closely with fabric designers and promotes custom lines. As her custom designs evolved, she expanded the George + Ginger label and became involved with Fashion Week shows in New York, Los Angeles, Miami and London. Her designs feature fitted garments, complimented by draped, flowy fabrics. She focuses on designs that are conceivable on all body types and sizes. Top Malaysian fashion brand The MOD House will present a selection of its most recent designs during the Cannes Global Short Film Awards Gala and Luxury Fashion Shows event on May 25, 2019. Part of the fourth annual edition of the prestigious event, the gala will be held at the iconic Intercontinental Carlton Cannes in Cannes, France. Launched in 1996, The MOD House brand has grown from a distribution house to retail outlets all across Malaysia. Realizing that trends are moving towards customization and online retail, the company has consolidated and is now focusing on its online retail presence. The creative force behind The MOD House is designer Ho Kok Loong. The brand shows multiple collections annually on prestigious runways all around the world, and consistently works with other designers to come up with the latest designs. Global Short Film Awards Festival director Andres Aquino is delighted to announce that actor and philanthropist Franc D’Ambrosio (star of Broadway’s Phantom of the Opera, The Godfather III, more) will receive a special Lifetime Achievement award during the GSF Awards Gala at the Intercontinental Carlton, Cannes, France on Saturday May 19, 2018. Franc D’Ambrosio was selected from some 2,000 candidates for his role as the adult Anthony Corleone in The Godfather III, directed by Francis Ford Coppola. The Academy Award-winning film also starred Al Pacino, Andy Garcia and Diane Keaton among others. The YouTube video of Mr. D’Ambrosio’s musical performance in the film has garnered over 1.6 million views. In music Franc D’Ambrosio is best known for his impressive portrayal in the title role of the Phantom in Andrew Lloyd Webber’s Tony Award-winning musical, The Phantom Of The Opera. 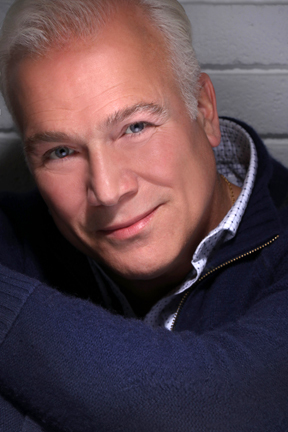 Mr. D’Ambrosio is “The World’s Longest-Running Phantom” with more than 2,600 performances. His distinguished career also includes an Academy Award-nominated film, an Emmy Award-nominated television show, a four-time Tony-nominated Broadway show, two Grammy considerations and a National Theatre Award nomination. He is a painter and philanthropist. Click for tickets and more information on the Cannes event. Brazilian-born New York-based celebrity hair and makeup artist Marcello Costa will be honored at the Global Short Film Awards Gala on May 19, 2018 at the Intercontinental Carlton Cannes, in Cannes, France. Marcello Costa’s name and work is associated with many prestigious events including the Academy Awards, Grammy Awards, Tony Awards, Golden Globe Awards and the Cannes Film Festival. His creative work can be seen on many top fashion week runways, from Milan to New York and Paris, as well as at Couture Fashion Week New York. He has worked with major fashion brands including Dolce & Gabanna, Cavalli, Versace, Armani, Tom Ford, Moschino, Victoria’s Secert and Andres Aquino. In the entertainment world, Mr. Costa has worked with such celebrities as Priyanka Chopra, Stevie Wonder, Angela Basset, Terri McMillan, Oprah Winfrey, Alfred Woodard, Brandy, Coco, Queen Latifah, Nicki Minaj, Rihanna, Beyoncé, Alicia Keyes and Mariah Carey. His work has been featured in major publications such as Vogue, Elle, Cosmopolitan, O Magazine, Chinese Femina, Essence Magazine and others. Spain-based luxury fashion label Glamour Hunter will present a selection of its latest designs during the Cannes Global Short Film Awards Gala and Luxury Fashion Shows event on May 19, 2018. Part of the third annual edition of the prestigious event, the gala will be held at the iconic Intercontinental Carlton Cannes in Cannes, France. Glamour Hunter is the definition of high fashion that masters the art of creating luxury dresses. Textured, romantic and incredibly unique, the Glamour Hunter collections celebrate the feminine figure in a sophisticated and elegant way. With a modern touch, the Victorian inspired gowns will mesmerize the atmosphere. These floor-grazing dresses have intricate detailing and ethereal construction, each with an unmistakably baroque flourish but also with a contemporary twist. Glamour Hunter designs stunning wedding and evening dresses, as well as a pret-a-porter line, all embellished with creativity, precision and sophistication made from high-quality, expensive fabrics and sewn with extreme attention to detail. Rising teen pop-rock star Jared Hanrahan is slated to perform at the Cannes Fashion and Global Short Film Awards Gala. The event will be held at the Intercontinental Carlton in Cannes, France on May 20, 2017 and will include luxury fashion shows and entertainment by world-class performers, as well as the presentation of this year’s winning film awards. 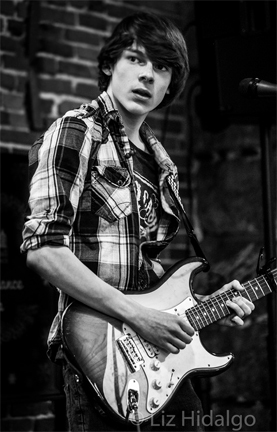 Boston-based Jared Hanrahan is a talented 15 year old musician, singer and songwriter. Steve Marshall from The Steve Marshall Band in New York mentored Jared on the electric guitar and gave him the opportunity to play for ALS, Hurricane Sandy, and breast cancer benefits with some very famous musicians like Les Paul Jr., Simon Kirke (Bad Company), Gene Cornish (Young Rascals) and Steve Gadd (Carly Simon, Phoebe Snow, Aretha Franklin). Jared started writing songs at the age of 12, and currently has 14 of his own original compositions. He performs all over Boston and New York to very enthusiactic audiences. Jared recently performed at City Hall and at the iconic Faneuil Hall in Boston. He was the focus of a spotlight feature on NBC Boston with Jackie Bruno. Click for tickets to the Global Short Film Awards Gala in Cannes. Multi-talented international performer Dr. Raghunath Manet is scheduled to appear at the upcoming Cannes Fashion and Global Short Film Awards Gala. The event will be held at the Intercontinental Carlton in Cannes, France on May 20, 2017 and will include luxury fashion shows and entertainment by world-class performers, as well as the presentation of this year’s winning film awards. A native of Pondicherry, India, Dr. Raghunath Manet is an artist, dancer-choreographer, musician-composer, singer, writer, actor and filmmaker. In dance he specializes in the classical Indian Bharatanatyam, and in music he performs on the Veena stringed instrument. He has worked with many prominent international artists including Archie Shepp, Michel Portal, Didier Lockwood, Carolyn Carlson, Richard Galliano, Bik Régis, Dr. Balamurali Krisha and Drums Sivamani. Dr. Manet holds a doctorate degree in Cultural Anthropology, and has released more than 25 CDs and 5 DVDs in both dance and music. In 1989 he founded the dance and music Academy “TALA SRUTI” in Pondicherry for poor children where he teaches and conducts workshops in dance and music. Raghunath Manet has performed all over the world including at the Opera de Paris in France, as well as at prestigious festivals and venues in France, Italy, UK, Germany, Austria, Switzerland, Hong Kong, Australia, Sri Lanka, Africa, Singapore, India, Mauritius, USA, Caledonia Islands, New Zeland, the Caribbean and the Reunion Islands. He has appeared at special events for Cartier, Louis Vuitton, Hermès, Chanel, and other iconic brands. In 2017 Dr. Manet received the Pravasi Bharatiya Samman Award (PBSA) 2017 presented by the President of India during the Pravasi Bharatiya Divas celebrations in Bengaluru, recognizing Dr. Manet’s contributions promoting Indian arts and culture in France. Other accolades include the Officier des Arts et des Lettres (2016) and the Chevalier des Arts et des Lettres from the French Ministry of Culture, the Gopio Community Service Award in Jaipur, India (2011), and the Best Performer Award during the 2014 Chennai Music and Dance Festival. Raghunath Manet has appeared in films including Diamant Noir by Arthur Harari, Le journal d’un séducteur by Daniel Dubroux with Jean-Pierre Léaud and Chiarra Mastroianni, and Perduto Amor by Franco Battiato. His work as a filmmaker includes Dance of Siva, Aathma, Devadai (a documentary), and Karma.